One Japanese company is fixing broken and unwanted toys, and the results are adorable and inspiring! Has your child ever come to you with a teddy so beyond repair that you have to throw it away? It's a heartbreaking moment but sometimes when teddy's arm falls off its the only option...until now that is! Second Life Toys are the people every unwanted or unloved toy needs and they specialise in soft animal 'transplants'. 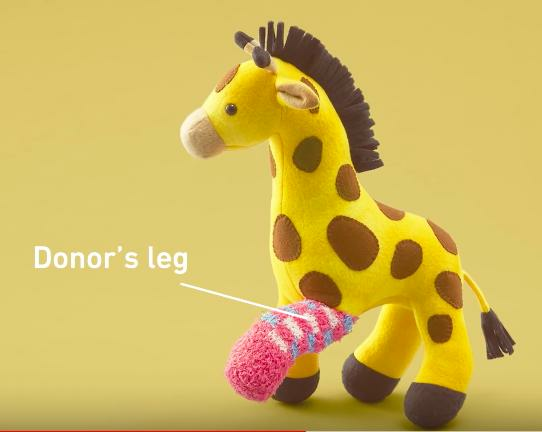 The Japanese company accepts toys as 'patients' or 'donor's' and uses old toys to fix soft animals that are not quite beyond repair just yet. However, there is a deeper message to it all and that is to raise the awareness of organ donation. The idea is, if a child donates a toy they no longer need and it is used in a 'transplant', they will receive a thank you letter to show how they have helped someone else toy and hopefully inspire them to become an organ donor when they are older. What a great way to get kids understanding how they can help save others in the future, and all through the means of ADORABLE cuddly animals!